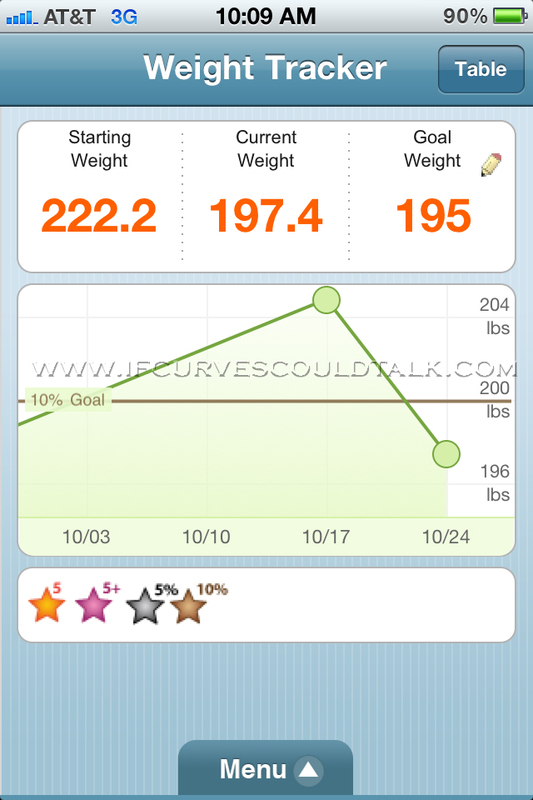 If Curves Could Talk: Weight Watcher's Weekly Weigh-In: 7.4 POUNDS LOST! 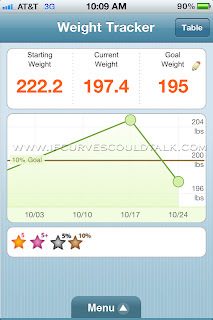 Weight Watcher's Weekly Weigh-In: 7.4 POUNDS LOST! WHEN YOUR BAD, YOU KNOW BETTER. Which ultimately means when something bad happens you learn from it. My gain did not cause tears. In fact, I enjoyed the foods I ate and they are now out of my system. But looking what I gained AND THEN SOME...Was a reminder of THE POWER OF THE MIND. If I can achieve it, I can dream it. They clapped for me and said "Wooooohoooo"
Like I said, the scale does not define me as a woman or as a person. But inside, I felt as if I was WINNING while losing. Aoooow- I peeked at the scale and the low numbers diminished my appetite =] let's get it!!!! Wow that was quick, weight fluctuates so much I know If I eat salty foods I retain wter and look swollen, Great job on this and for staying on track. Wooow, good job! But remember you are beautiful at any size! OMG... that so impressive. WOW! Congrats... how did you do it? Besides being good and staying positive.... what do you eat? I need help. CONGRATULATIONS...DOLL...WOW keep up the great job. Go you!!! Congrats, that's so great! congrats babe! I love your last outfit post! you were definitely pretty in pink in that gorgeous peasant top!